A new partnership between Clipper Logistics and cask ale brewery, Adnams will be serviced from Clipper's Rotherham warehouse. 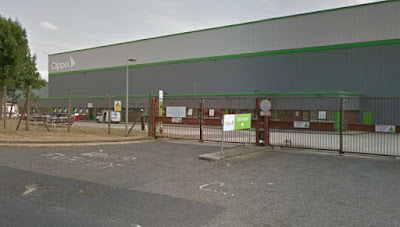 Clipper Logistics is a retail solutions provider which has its headquarters in Leeds. Its logistics network supports key customers such as Asda, John Lewis, Harvey Nichols, ASOS, M&S and Pretty Little Things. As part of the new deal, Clipper will provide end-to-end supply chain management, packing, storage and online order fulfilment capabilities for the award-winning brewer, distiller and retailer. The location of the 670 year old Adnams brewery in Suffolk has led to restrictions in carrier choice, and as a result, has impacted the daily cut-off order time for customers. Clipper's integrated solution based at Hellaby in Rotherham will allow Adnams to extend their operational window, offering customers a later cut-off order time for next day delivery. John Welsh, general manager, Rotherham for Clipper Logistics, said: "As premium and craft beer consumption continues to rise, we are delighted to partner with Adnams, offering them the sophisticated storage and supply chain facilities that they need. We are pleased that our "agility matched by ability" ethos resonates with Adnams, enabling us to address their current operational challenges, and provide them with the foundation for future growth." The solution also offers Adnams increased growth opportunities by providing additional storage facilities to alleviate the space constraints Adnams had been experiencing with their existing in-house solution. Clipper's Rotherham location also offers Adnams the ability to operate under bond as volume sales increase. Charlie Darton, head of marketing for Adnams, said: "Clipper's reputation for innovative and industry-leading logistics solutions meant that when we were looking to expand our offering, they were an obvious choice. By relocating to Rotherham with Clipper, we have not only been able to offer our customers a later cut-off time for their orders, but we are also now in a position to grow our operations. The scale and efficiency they are providing us with is ensuring that our ever-increasing customer demands are being met."